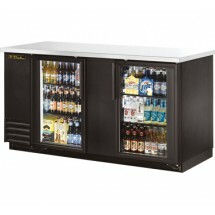 Back bar coolers are low-profile bar refrigerators that enable you to stock up on wine, beer and liquor in your restaurant, bar and hotel. 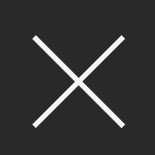 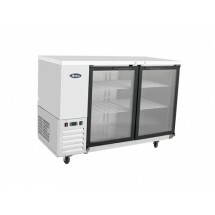 Available in many different configurations including glass doors, solid doors, and sliding doors, you can find the model that fits your space and your budget. 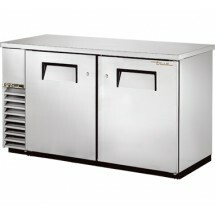 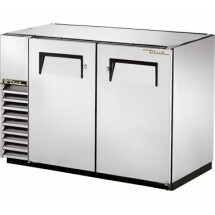 True TBB-2-S Stainless Steel 2 Section Back Bar Refrigerator 59" Sold As: 1 ea You're pre-approved for a cash advance! 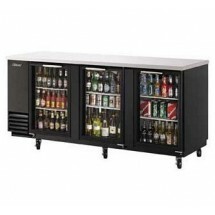 True TBB-24GAL-60G-LD Black 2 Section Glass Door Back Bar Refrigerator with Galvanized Top and LED Lighting 60" Sold As: 1 ea You're pre-approved for a cash advance! 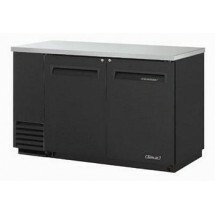 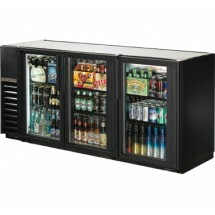 Turbo Air TBB-4SG-N 3-Section Glass Door Black Back Bar Refrigerator 90" Sold As: 1 ea You're pre-approved for a cash advance! 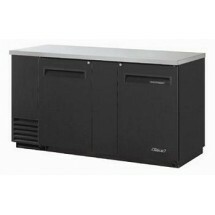 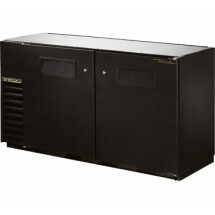 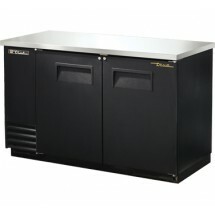 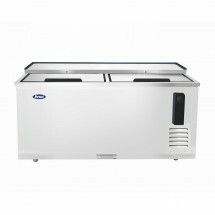 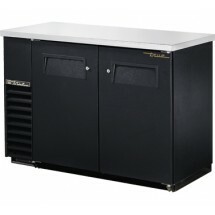 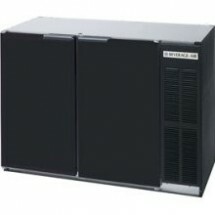 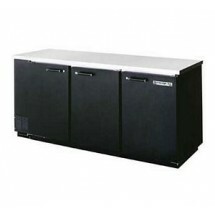 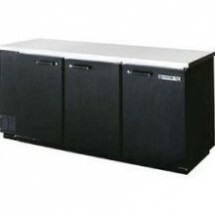 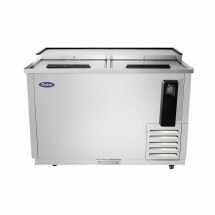 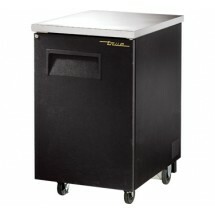 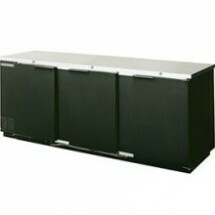 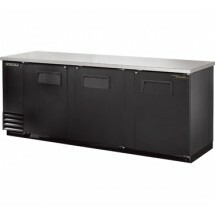 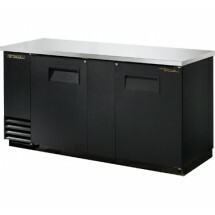 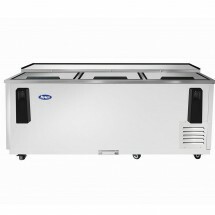 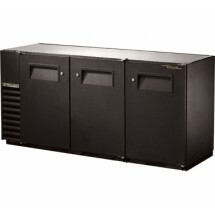 True TBB-4 3-Section Solid Doors Back Bar Refrigerator 90" Sold As: 1 ea You're pre-approved for a cash advance! 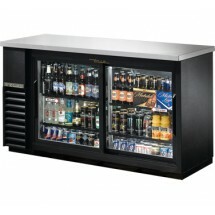 True TBB-24-48G-LD Black 2 Glass Doors Back Bar Refrigerator with LED Lighting 49" Sold As: 1 ea You're pre-approved for a cash advance! 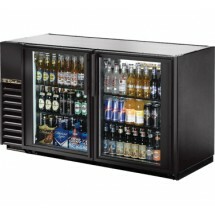 True TBB-24-48G-SD-LD Black 2 Glass Sliding Doors Back Bar Refrigerator with LED Lighting 48" Sold As: 1 ea You're pre-approved for a cash advance! 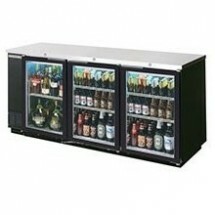 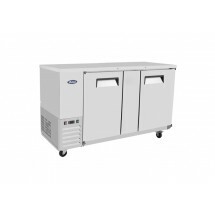 True TBB-24-60 2 Section Solid Doors Back Bar Refrigerator 61" Sold As: 1 ea You're pre-approved for a cash advance! 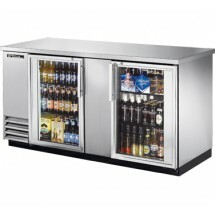 True TBB-24GAL-48G-S-LD Stainless Steel 2 Section Glass Door Back Bar Refrigerator with Galvanized Top and LED Lighting 48" Sold As: 1 ea You're pre-approved for a cash advance! True TBB-24GAL-72 Black 3-Section Solid Doors Back Bar Refrigerator 72" Sold As: 1 ea You're pre-approved for a cash advance! 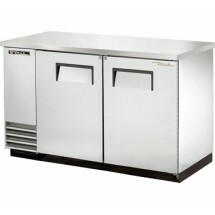 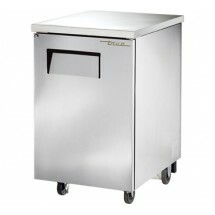 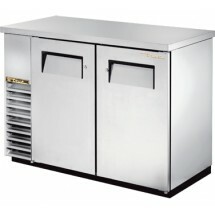 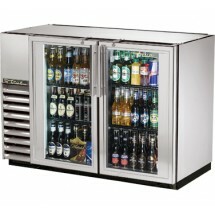 True TBB-3-S Stainless Steel 2 Section Back Bar Refrigerator 69" Sold As: 1 ea You're pre-approved for a cash advance! 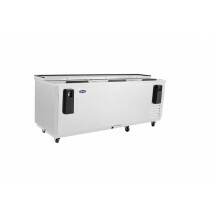 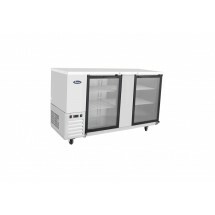 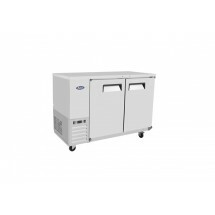 Beverage Air BB78R-1-B Remote Cooled Solid Door Back Bar Refrigerator 79" Sold As: 1 ea You're pre-approved for a cash advance! 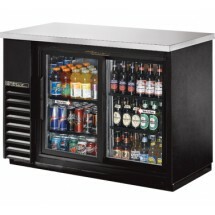 True TBB-2G-S-LD Stainless Steel 2 Section Glass Doors Back Bar Refrigerator with LED Lighting 59" Sold As: 1 ea You're pre-approved for a cash advance! 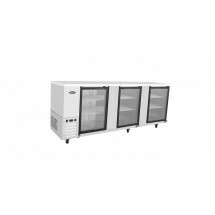 Beverage Air BB58G-1-S Stainless Steel 2 Section Glass Door Back Bar Refrigerator 59" Sold As: 1 ea You're pre-approved for a cash advance! 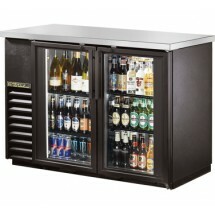 Beverage Air BB58-1-S Stainless Steel Solid Door Back Bar Refrigerator 59" Sold As: 1 ea You're pre-approved for a cash advance! 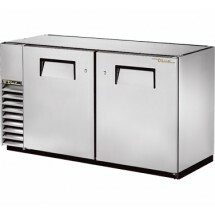 True TBB-24-48-S Stainless Steel 2 Solid Doors Back Bar Refrigerator 49" Sold As: 1 ea You're pre-approved for a cash advance! 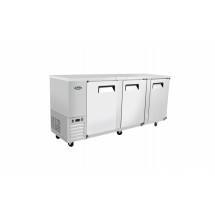 True TBB-24GAL-60-S Stainless Steel 2 Section Solid Door Back Bar Refrigerator 60" Sold As: 1 ea You're pre-approved for a cash advance! 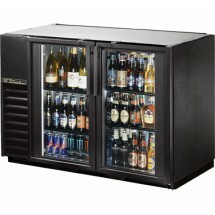 True TBB-24-60G-LD Black 2 Glass Doors Back Bar Refrigerator with LED Lighting 60" Sold As: 1 ea You're pre-approved for a cash advance! 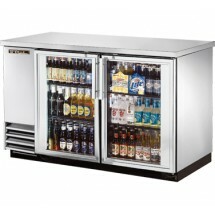 Beverage Air BB68G-1-S Stainless Steel 2-Section Glass Door Back Bar Refrigerator 69" Sold As: 1 ea You're pre-approved for a cash advance! 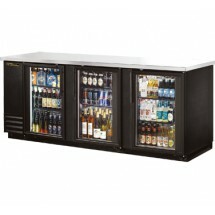 True TBB-24-60G-SD-LD Black 2 Section Sliding Glass Doors Back Bar Refrigerator with LED Lighting 61" Sold As: 1 ea You're pre-approved for a cash advance! 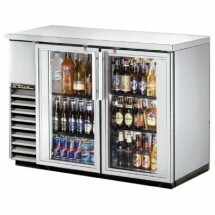 True TBB-3G-S-LD Stainless Steel 2 Section Glass Doors Back Bar Refrigerator with LED Lighting 69" Sold As: 1 ea You're pre-approved for a cash advance! 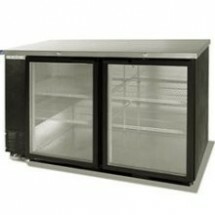 Beverage Air BB78G-1-B 3 Section Glass Door Back Bar Refrigerator 79" Sold As: 1 ea You're pre-approved for a cash advance! 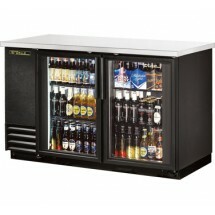 True TBB-4G-LD 3 Section Glass Doors Back Bar Refrigerator with LED Lighting 90" Sold As: 1 ea You're pre-approved for a cash advance! 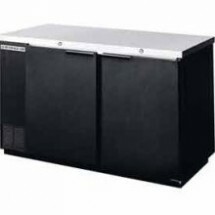 Beverage Air BB68-1-S Stainless Steel 2 Section Solid Door Back Bar Refrigerator 68" Sold As: 1 ea You're pre-approved for a cash advance! 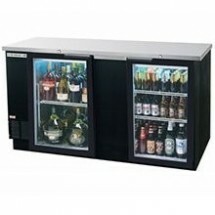 True TBB-24-48G-S-LD Stainless Steel 2 Glass Doors Back Bar Refrigerator with LED Lighting 49" Sold As: 1 ea You're pre-approved for a cash advance! True TBB-24GAL-60G-S-LD Stainless Steel 2 Section Glass Door Back Bar Refrigerator 60" Sold As: 1 ea You're pre-approved for a cash advance! 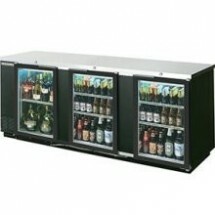 True TBB-24-72 3-Section Solid Doors Back Bar Refrigerator 72" Sold As: 1 ea You're pre-approved for a cash advance! 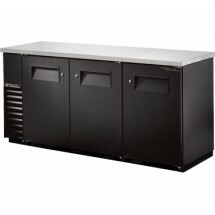 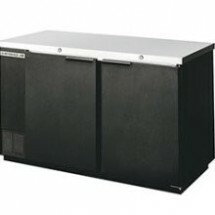 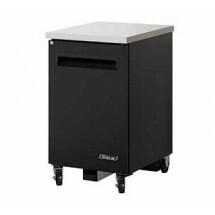 Beverage Air BB94-1-B 3 Section Solid Door Back Bar Refrigerator 94" Sold As: 1 ea You're pre-approved for a cash advance! 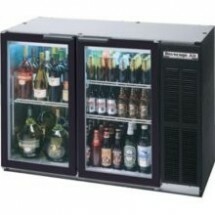 Beverage Air BB94G-1-B 3 Section Glass Door Back Bar Refrigerator 94" Sold As: 1 ea You're pre-approved for a cash advance! 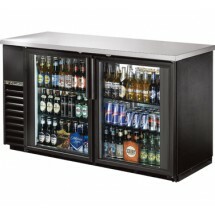 True TBB-24GAL-72G-LD Black 3-Section Glass Doors Back Bar Refrigerator with Galvanized Top and LED Lighting 72" Sold As: 1 ea You're pre-approved for a cash advance! 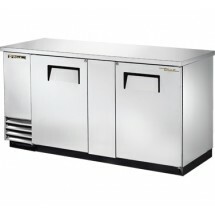 True TBB-24-60-S Stainless Steel 2 Section Solid Doors Back Bar Refrigerator 61" Sold As: 1 ea You're pre-approved for a cash advance! 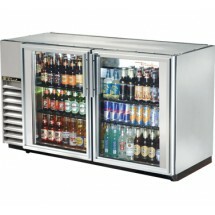 Beverage Air BB78R-1-S Stainless Steel Remote Cooled Solid Door Back Bar Refrigerator 79" Sold As: 1 ea You're pre-approved for a cash advance!